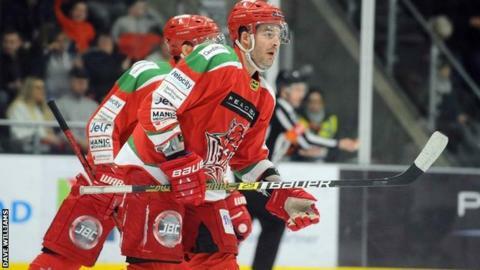 Leaders Cardiff Devils stayed in control of their Elite League destiny as they beat Guildford Flames in the Welsh capital. Layne Ulmer opened the scoring after a scoreless opening period and Gleason Fournier sealed victory. Equally pleasing for the hosts, Ben Bowns enjoyed a shut-out as Devils' won 24 hours after they fought back to win 4-2 at Fife Flyers. Andrew Lord's Devils have seven more games in which to see seal the title.